Tetrawickmanite: Mineral information, data and localities. 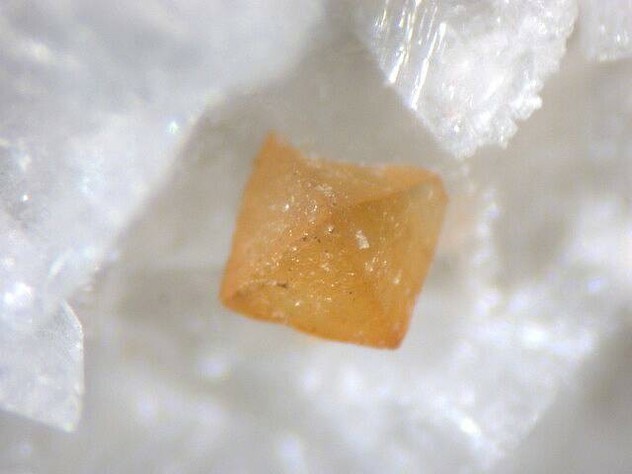 Named as the tetragonal dimorph of wickmanite. Wickmanite 4 photos of Tetrawickmanite associated with Wickmanite on mindat.org. Magnetite 4 photos of Tetrawickmanite associated with Magnetite on mindat.org. Quartz 2 photos of Tetrawickmanite associated with Quartz on mindat.org. Dolomite 1 photo of Tetrawickmanite associated with Dolomite on mindat.org. Lithiomarsturite 1 photo of Tetrawickmanite associated with Lithiomarsturite on mindat.org. Fluorapatite 1 photo of Tetrawickmanite associated with Fluorapatite on mindat.org. Chiavennite 1 photo of Tetrawickmanite associated with Chiavennite on mindat.org. Behoite 1 photo of Tetrawickmanite associated with Behoite on mindat.org. White, J. S., Jr. & Nelen, J. A. 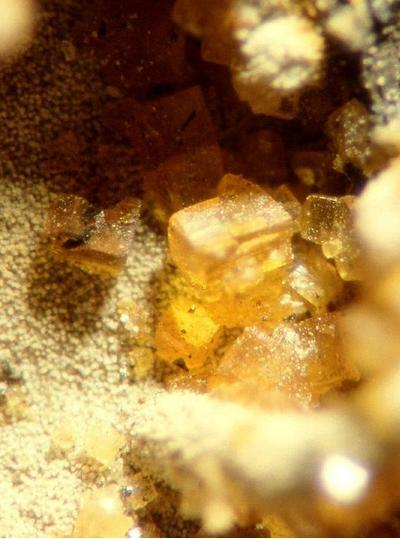 (1973): Tetrawickmanite, tetragonal manganese tin hexahydroxide, a new mineral from North Carolina, and the stottite group. 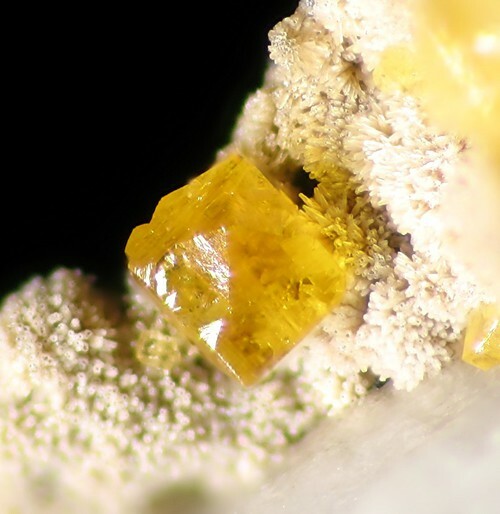 Mineralogical Record, 4, 24-30. American Mineralogist (1973): 58: 966-967. B. Lafuente, H. Yang and R. T. Downs (2015): Crystal structure of tetra­wickmanite, Mn2+Sn4+(OH)6. Acta Crystallographica E71, 234-237. 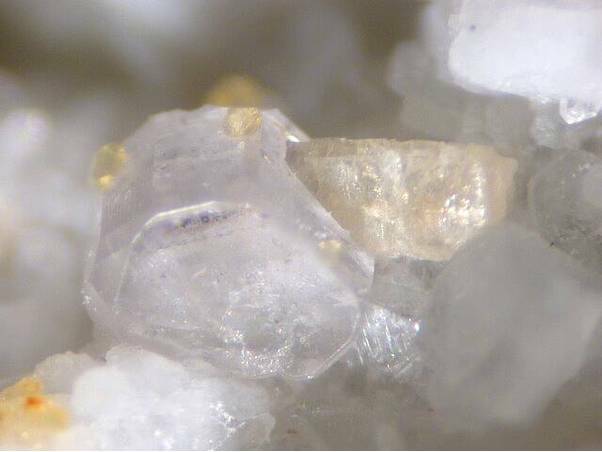 The following Tetrawickmanite specimens are currently listed for sale on minfind.com. Dunn, P.J. (1978): Tungstenian tetrawickmanite from Långban, Sweden. Mineralogical record.9, 41; Nysten, P., Holtstam, D. and Jonsson, E. (1999) The Långban minerals. In Långban - The mines,their minerals, geology and explorers (D. Holtstam and J. Langhof, eds. ), Swedish Museum of Natural History and Raster Förlag, Stockholm & Chr. Weise Verlag, Munich, pp. 89-183.